At Vox Teneo, we develop web application of all kinds – but we do it with a goal in mind: meet the client’s needs. But first and foremost, Vox Teneo’s motor is the want to build a human-centered company. Our team is motivated, involved, and works with respect and trust to aim for long term results. As a web and mobile solution integrator, our goal is to provide a high-quality service, at the cutting edge of technology. Vox Teneo develops web applications fitting your needs – all kinds of web application. 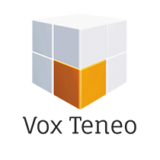 Moreover, Vox Teneo proposes an overall consistency! Because those tools are more efficient if they work together.